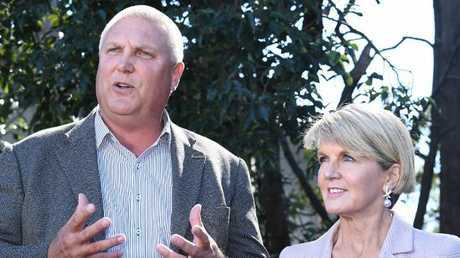 Liberal Candidate for Longman Trevor Ruthenberg is embroiled in controversy over wrongly declaring himself a recipient of the Australian Service Medal. ONE curious common factor in the annals of military medal scandals is that when they blame a mistake for their spurious status, the error is never in support of a lesser award. So it seems apt that Trevor Ruthenberg, once a member of the Campbell Newman government and now aspirant for the seat of Longman, managed to inflate his entitlements upward from an Australian Defence Medal to an Australian Service Medal. The first is an honourable but modest reward for service, the second is recognition of service in or in connection with a prescribed non-warlike operation, generally overseas in some area from the Balkans to West Sahara. The medals are not remotely similar in appearance and hang from distinctively different ribbons. The Australian Service Medal takes precedence over the Australian Defence Medal, which is grouped down with such things as the Australian Cadet Forces Service Medal. We're not talking gallantry awards here so some people might think it all a storm in a tin cup but service people know the difference and they recognise the difference when gongs are worn or claimed. They are jealous of their awards, which is why such outfits as the Australian New Zealand Military Imposters website rely on them to pick up the dodgy and the disgraceful. Most of them are artless and clumsy; Ruthenberg was just silly. He was not vain, stupid or dishonest enough to wear an undeserved medal but was careless or cynical enough to list the unearned ASM on his personal website and again on the parliamentary website, which made the "mistake" sound a bit flimsy. Just who picked up the error is something you might ask political reporter Steve Wardill (who probably wouldn't tell you) but it certainly rankles among many ex-service people and has been seized on by his Labor opponents. But the issue is not who saw it but why and how it happened. 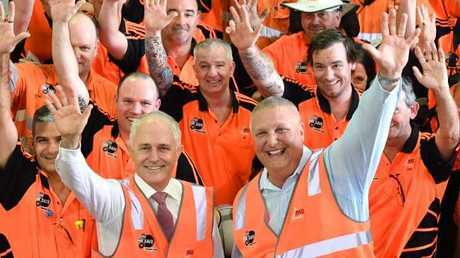 Ruthenberg has apologised and written it off as an honest mistake and has been supported by luminaries all the way up to Prime Minister Malcolm Turnbull who assures us "Big Trev" is as honest as the day is long. However, mid-July might be an unfortunate time of the year to draw that analogy. Some in the ex-service community, the Returned Service League and the online chatterdom have accepted his excuse and apology and scorned it all as an unfortunate accident. Given the responses of the same sort of people when egregious military fakes have been exposed over the years, I suspect friendship and political loyalty might be coming into play here. Whatever the reasons for Ruthenberg's mistake does it matter? The Liberal National Party says it is time to move one. Nothing to see here. However, while it is impossible to quantify any electoral advantage of his false claim, it certainly wouldn't have disadvantaged him. One online commenter estimated there were 4000 ex-service people in Longman, some of whom would presumably have nodded in approval at his apparent overseas service. Equally, some of them would be disappointed to learn of his false claim to some military bling. Even those who believe his honest mistake response might think he is a bit of a dill. A careless one at that. Ironically, I suspect the hurt of exposure has long outweighed any presumed advantage from the false claim in the first place. Predictably this mess has been seized on by Opposition Leader Bill Shorten and former Longman Labor member Susan Lamb, whose own carelessness over citizenship caused this expensive and messy by-election in the first place. But why wouldn't they make hay while the media sun shines on Ruthenberg's predicament? Plenty of politicians past and present have exploited their military service to greater or lesser degrees to win and hold office. Think Mike Kelly, Jim Molan, Andrew Nikolic and Andrew Hastie (who was even kicked out of the Army Reserve for wearing uniform on his campaign posters). How many votes they won thanks to their service could never be calculated but it sure as hell didn't hurt them. However, if military service is to be fairly exploited, so too are false claims relating to that service. 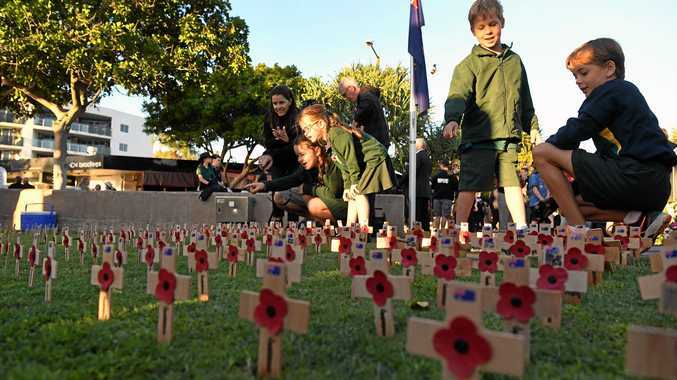 Australians value and respect their military and those who serve in it. Politicians who falsely usurp that respect can only expect the worst. 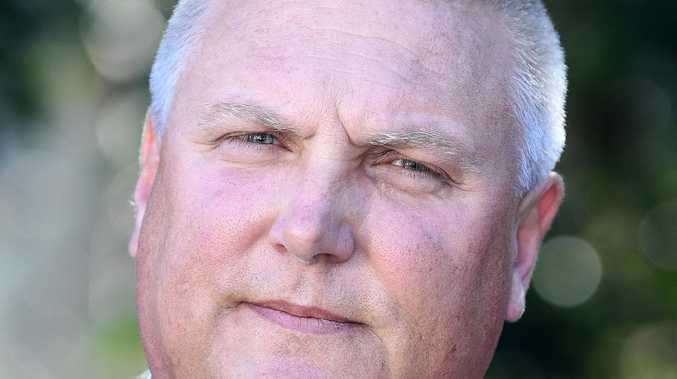 Anyone who thinks it isn't politically poisonous might ask New South Wales Labor MP Hugh McDermott who found himself at the centre of a storm because he wore an Army Reserve service badge to which he was not entitled. His apology didn't seem to cut the ice. The LNP, Ruthenberg and his supporters can cry foul and plead an innocent mistake but his precarious position and future is all his own work. Trust is a fragile and finite thing. Politicians squander it at their own risk.